The Phillies are reportedly moving Jerad Eickhoff to the rotation and demoting Nick Pivetta to the minors. Eickhoff actually got the save in last night's game against the Mets, pitching four effective innings. He's battled injuries in recent years, but did have a solid three-year stretch from 2015-2017. 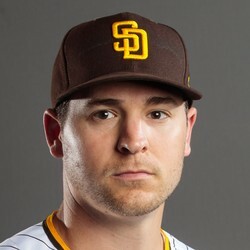 Eickhoff should be added in all NL-only leagues and can be put on a watch-list for deeper mixed leagues.